Hayashi sensei whilst 2 or 3 years my junior in age, is very much my kendo senior. When I started training in Japan he was 5th dan to my 2nd. He passed 7th dan 15 years before I did and he has a kendo resume that includes 2 appearances in the Todofuken Taikai, one as part of the winning Osaka team. Although he has passed the first of the two 8th dan examinations, he and I have the same kendo qualification, Kyoshi, 7th dan. As Fukumoto sensei often says in the opening address for 7th dan grading examinations in Japan, ”7th dan is not the dan that follows 6th dan, It is the dan before 8th dan”. With an eighth dan pass rate of less than 1%, most of us are going to be stuck at 7th dan for a long time. If you are lucky enough to attend a 6th, 7th or 8th dan grading examination in Japan, you will soon become aware that the pass rates in the various courts, which are separated by the candidates’ age groups, are very different; the younger the group, the higher the pass rate. This bias is mainly because young police tokuren and other physical education professionals are able to train for 8 hours a day, 5 days a week and are in a far stronger position to improve their kendo. The average company employee or business owner is able to spend 3 or 4 hours per week maximum in the dojo, so anyone from this group who manages to break through the 8th dan barrier should be commended. Others may spend as many years as a 7th dan holder as they have spent in all their previous kendo grades combined. Nevertheless, the number of candidates attending the 8th dan examinations in Tokyo and Kyoto continues to increase. For most, it’s a matter of turning up, chatting to old friends, enjoying two two minute tachiai and then retiring to the nearest drinking establishment for a consoling beer. With the exit route from 7th dan being so difficult, there are a wide range of abilities within this grade. Some constantly strive to improve; others are happy to stay at the level they have reached. For those who are keen to progress it is important to seek out as many chances as possible to train with peers and seniors, sometimes difficult when you live outside Japan. So it is imperative that we get to regional seminars, make training trips to Japan and invite as many sensei as we can to visit. However you approach the role of 7th dan you need to enjoy it, because you may be there for a very long time. 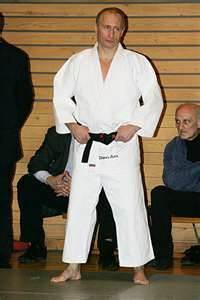 The hot sports news from Russia this week is that President Vladimir Putin has been promoted to 8th Dan in Judo. Clearly a great achievement and an even greater one as his last recorded grade was 6th Dan. Judoka please correct me if I am wrong, but this is I believe, not an unusual scenario. If my memory serves me correctly the higher grades in Judo tend to be awarded for contribution to the sport; rather than being earned in grading examinations. Fortunately or unfortunately, depending on your point of view, this is not the case with kendo. Anyone who has watched the 8th Dan examination in Kyoto in May or its November counterpart in Tokyo, will be aware of the bravery and determination of candidates in their 70s and 80s still trying to demonstrate the physical qualities required to take hachidan. Many of us have seen the documentary “The 8th Dan Challenge” where we watched the preparations of Ishida sensei, then 48 years old and Miyamoto sensei, who was approaching the age of 80. I had the opportunity to talk to Miyamoto sensei several years ago in Kyoto. I mentioned that the programme had been seen widely outside Japan. His response was that he was embarrassed when it was shown in Japan and that he could now say that he was embarrassed on a World scale. He did however say this with a smile. At the time of our conversation he was still nanadan. There also appear to be no exceptions made in kendo for the great and good. The late Japanese Prime Minister, Ryutaro Hashimoto remained at 5th Dan after a lifetime in kendo. For kendoka who want to climb the grading ladder within FIK (International Kendo Federation) or its member organisations, there is no short-cut. The pass percentages at this year’s examinations in Aichi were just over 17% and 12% for 6th and 7th Dan respectively and a daunting 0.84% for hachidan in Kyoto . Even shogo, which were at one time awarded by recommendation, now have to be earned by examination. 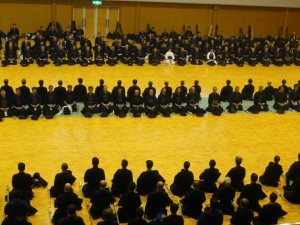 For the ZNKR Kyoshi, even non- Japanese candidates have to physically attend the examination in Tokyo. The ZNKR does have other ways of recognising outstanding contribution to kendo development such as the prestigious Korosho. This award is presented to few people and is meant as an accolade for a lifetime of service to kendo. My colleague John Howell is one of the few non-Japanese to receive the Korosho. In his case it was presented for many years of continuous service to European Kendo. When it comes to grade however, no matter how great one’s service to the organisation, it’s a matter of getting in the registration queue at the Nippon Budokan and doing your best for 120 seconds. So congratulations Putin sensei, but for us poor old kendoka – Gambatte kudasai! Some of the additional requirements look like obvious duplication. such as “cut with control, cut on target” for ikkyu and “correct cutting” for shodan but this could be taken to mean more emphasis is required on the total cutting motion. So you could for instance make a controlled accurate attack for ikkyu but fail shodan because your shoulder, elbow and wrist coordination is lacking. The emphasis on correct chudan and issoku-ito-maai is clearly additional but begs the question “if chudan is a new requirement for shodan, what kamae is required for ikkyu?” In my view this refers more to the quality of the candidate’s chudan and whether it is effective in preventing your opponent from attacking you at will. Ki-ken-tai-ichi is similar – more of the same but better. The only really new emphasis is on issoku-ito-no-maai, kiai and zanshin. Distilling this down and putting it through the filter of my understanding, what separates ikkyu and shodan is better distance and more spirit. In both cases you should have mastered basic kendo movement and be able to attack freely and enthusiatically. Of course different shinsain have slightly different conceptions of what is required, so there is alway the question of interpretation, but that is why in kendo we have panels to issue grades, not individual instructors. Still the subjective element is always there. Many years ago, I saw a Japanese grading sylabus where the points for each grade were overwriten with the caveat “The standard for ….dan is the standard for ….dan”. My interpretation is that you will pass if enough people on the panel think you should. Do kendo grades compare with those of other martial arts? A lot of time and thought from the kendo great and good has gone into creating the current grading system. Though perhaps not perfect, it is a robust, consistent process that does all it can to give everyone an even chance. I regularly come into contact with practitioners of other martial arts and sports and have very occasionally wondered if you can make valid comparisons of skill levels at the same grade between one discipline and another. For obvious reasons I do not include the one-man federations where everyone becomes 10th dan on joining, but I am thinking more about mainstream budo with established governing bodies. Is a kendo shodan equal with a karate shodan? Does a kendo 8th dan match the skill level of a Judo 8th dan? Frankly, I don’t know, but I imagine that the answer is no. Firstly methods of examining candidates are different. In Judo, there is a totting up process, based on shiai performance which plays a major part in grading up to 5th dan. 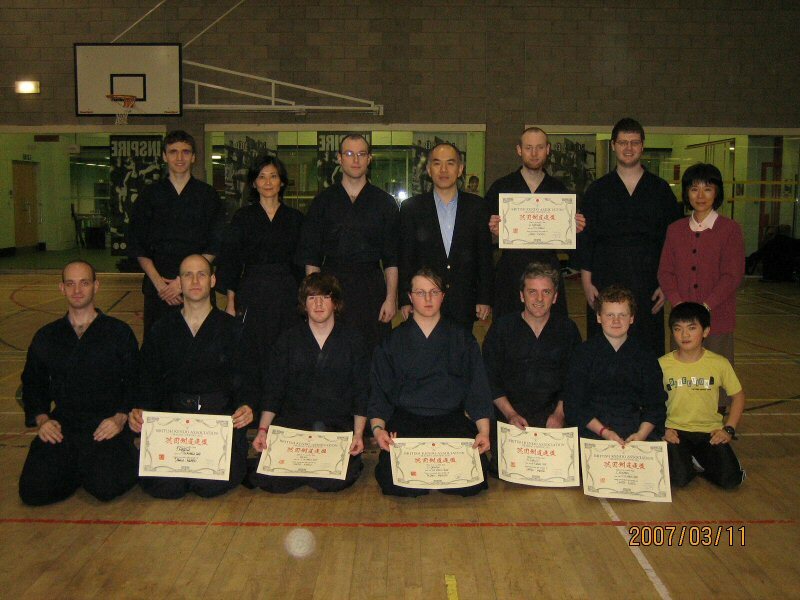 The higher dan grades are awarded for contribution, much as kendo shogo used to be. Karate grades are based on demonstration and evaluation, but many schools also use the shogo system, so I guess that the upper dan grades are based more on physical skill. Even Iaido which shares the same governing body and grade system must differ, as panellists are viewing individual performance rather than the interaction between two players. Many martial arts have a rigid kyu system with up to 10 kyu grades which must be gained in sequence. Although it varies from country to country, we tend to be far more cavalier about granting kyu grades. In some cases people start on the grading ladder at 2nd or even 1st kyu, as a preliminary to shodan. 1st to 5th dan are national grades outside Japan and the responsibility of regional federations within. In my experience, 1st and 2nd dan levels in kendo vary from country to country. 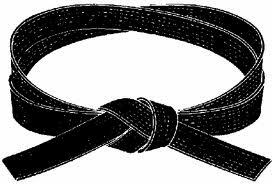 It is unusual to fail shodan in Japan, where it is viewed as a first step, rather than the pinnacle of “black belt”. 3rd dan seems to be judged fairly consistently around the World. 4th and 5th likewise, but the pass rate for these is becoming smaller everywhere. With the exception of those granted by a few of the larger country federations, 6th to 8th dan are international or All Japan grades. Since the abolition of 9th dan, these have become increasingly difficult to reach. Unusually candidates are judged on physical and technical ability, regardless of age and physical condition. The kendo grading examination continues to be a measure of how well you did against your selected opponents on the day; with shogo kept in reserve to endorse your character and depth of kendo knowledge.